Voluntary blood donation day is very important activity to motivate more donors, especially youths, because we use to do Jatha (Procession) programme with play cards, it gives awareness to the public. 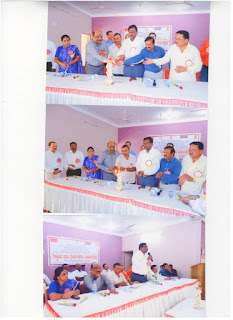 2)The Voluntary Blood Donation was observed on 1/10/12 with the help of District administration, ZP, DHO, KSAPS, DAPCU, NSS, University evening college, Red cross, RRC and NGOs. 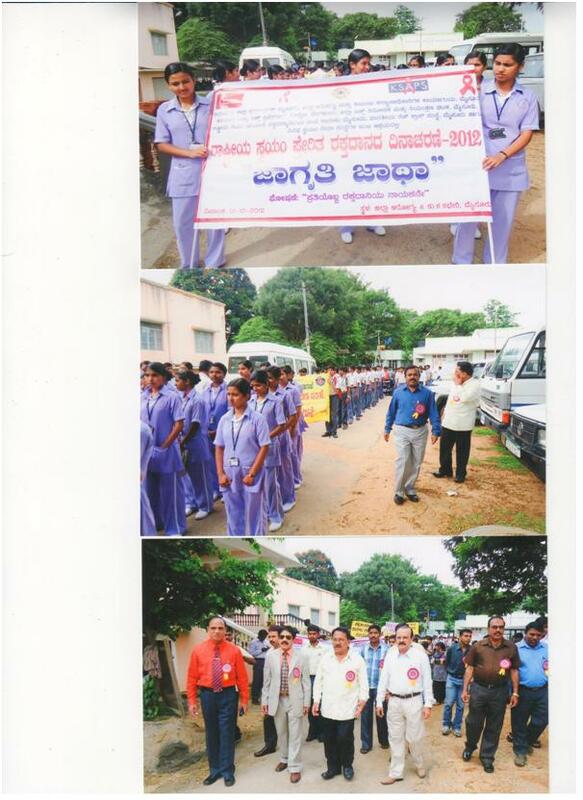 We have conducted Jatha programme from DHO office Nazarbad through main roads of Mysore City and ended at DHO office Mysore. More number of youths, college students, Nursing college students and NGO people attended this program me9.30 AM. After the Jatha programme, we have done stage programme. In this programme DHO Dr.S.M.Malegowda, NSS co-coordinator-Dr.Rudraiah, Blood bank officer Dr.Manjunath, all programme officers attended. And conducted Lecture programme by Dr.Seetharam, BSU officer SVYM Saragur.All officials also spoke about importance of Blood donation. 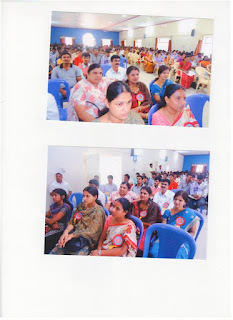 Programme was very successful. We have 11 blood banks in our District, but only 2 blood banks are permitted to do blood donation camps. If we get permission to other blood banks, it will be easy to do more camps in our District.